Want a quick and easy welcome for your friends or new guests? Try the Crested Butte Basic. Want a quick and easy welcome for your friends or new guests? Try the Crested Butte Basic. 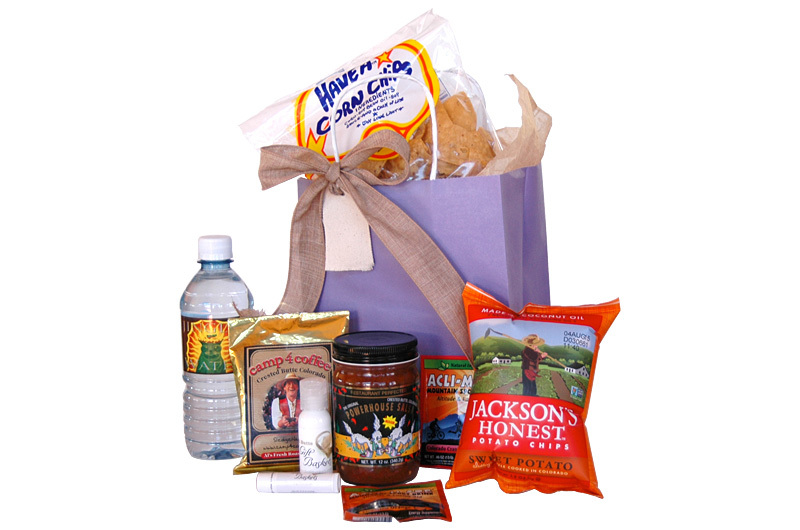 This bag comes with a sampling of Camp 4 Coffee, Powerhouse salsa and corn chips, bottles of Jingles or Arrowhead water, Crested Butte lip balm, hand lotion, 2 packages of Acli-mate, and Jackson’s Honest Potato Chips. 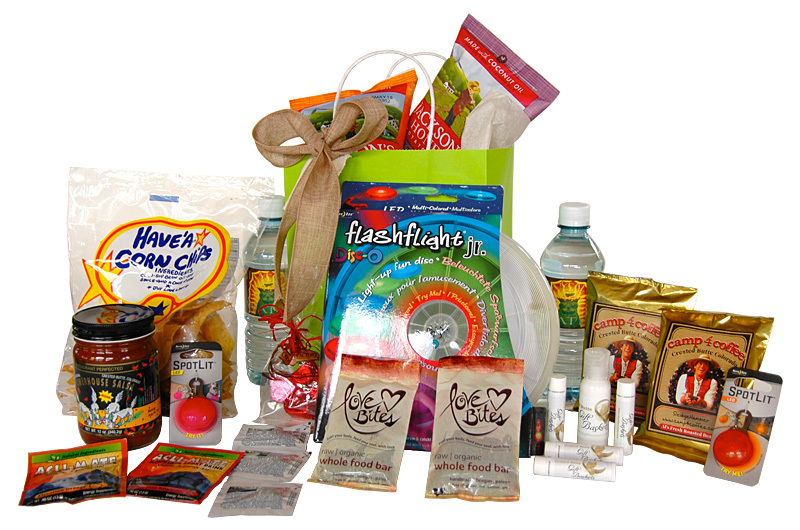 Feel free to add any extras to your gift basket or bag at an additional cost. 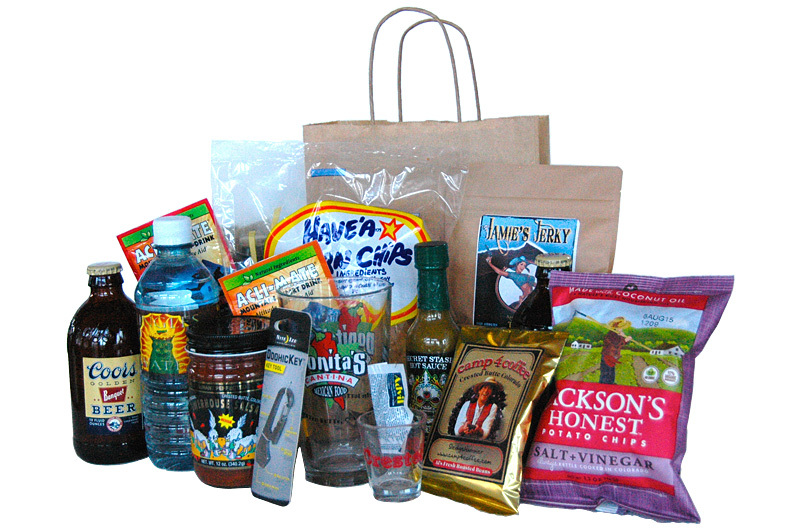 Call us at 970-275-0784 to arrange any customization of your basket or bag. We have a $5 charge to deliver per location. If several baskets go to the same location there is only one delivery charge. It is possible to add wine or liquor as part of a basket at your request. See below. Unless otherwise noted… the above descriptions are priced as Colorful Bags. Canvas Bags or Baskets will incur an additional charge. 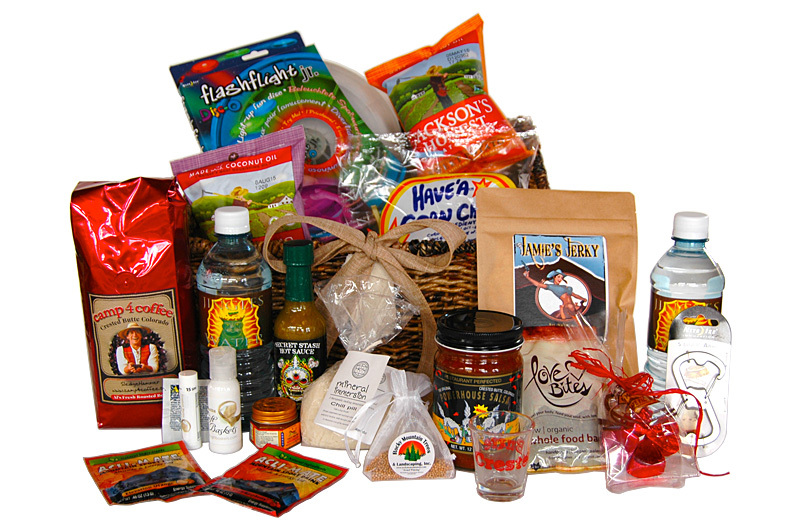 ** Because of Colorado law, Crested Butte Gift Baskets utilizes a third party vendor for wine and alcohol sales. 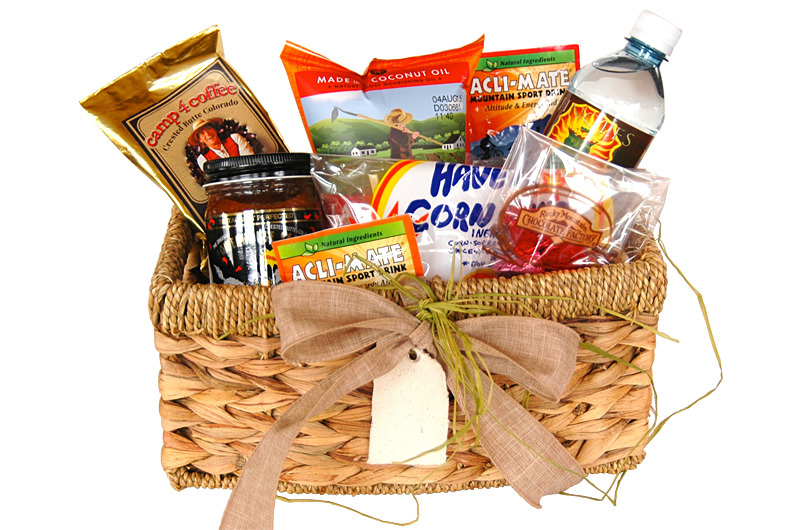 If adding wine or alcohol to a basket or bag, please call us at 970-275-0784 to arrange your selection and payment. We have partnered with Mountain Spirits liquor store on Elk Avenue and Treasury Liquors in Mt. Crested Butte as our primary liquor vendors. For alcohol deliveries, an adult signature is required so we suggest using a commercial address (such as a hotel or property manager) to ensure the fastest delivery. Alcohol cannot be shipped U.S. Mail or internationally. We ship baskets via Fed Ex or UPS. We accept credit cards online through Stripe or over the phone. We also will consider checks and cash.